The M-Cuisine range is designed to take everyday stovetop tasks and bring them to the convenience and speed of the microwave. Prepare and cook in one, specially designed vessel - cutting down on time and dish washing. The Cool-Touch range features a double-walled construction that ensures the outside surface remains cool to the touch while handling, without the need for oven gloves. 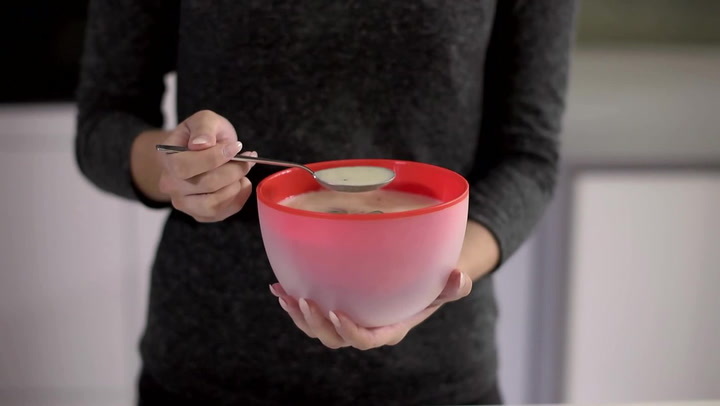 Store, heat and serve soups, stews, hot breakfasts and leftovers all in one vessel. Excellent design, beautiful to look at, great quality and always perfect for the job. Ideal for storing leftover portions in the fridge and straight to the microwave the next day. Good sizes for single meals. Bought 2 soup bowls a while ago. Most used items in my kitchen. Can't go wrong.